William Schwartz was born on December 2, 1924, in Detroit, Michigan. He was drafted into the U.S. Army on July 2, 1943, completing basic training and Calvary horse riding training at Fort Riley, Kansas, before being trained as a Construction Foreman with the Combat Engineers. 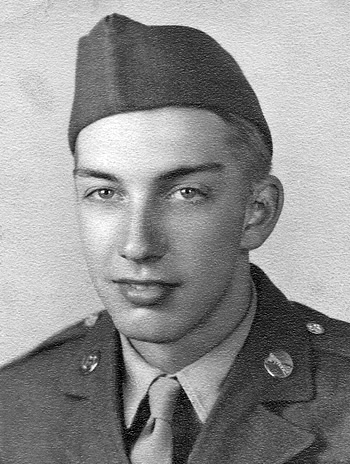 Schwartz was assigned to Company B, 2826th Engineer Battalion, 36th Combat Engineers in Italy in February 1944. He participated in the amphibious invasion of Southern France in August 1944 and participated in battles throughout France and into Germany by the end of World War II. Cpl Schwartz remained in Europe until late December 1945, and received an honorable discharge from the Army on January 3, 1946.